Having a food allergy or a sensitive stomach can make eating a less-than-enjoyable experience. In fact, it can have you asking why you even bother to try new foods or try to eat healthy. Having a sensitive stomach doesn’t mean that you can’t enjoy food. You simply have to use a bit of caution and your best judgement in order to eat well and feel good. Avoid your known triggers and provide your digestive system with a variety of support options to keep it functioning properly. There are many different ways in which to provide much needed digestive support. For many people there are specific food groups to avoid if you have a sensitive stomach. Here are some tips about how to provide your digestive system with proper support and ideal foods to manage a sensitive stomach. It can be a struggle to find foods you like that don’t upset your stomach. There are specific techniques that can help you to provide your stomach with the best possible scenario in order to avoid discomfort. One of the best things you can do to support your digestive system is to take appropriate digestive supplements. With a wide variety of digestive enzymes and probiotics available, you’re sure to find the ideal match for your system that will help reduce discomfort. The best digestive supplements can help stabilize the good bacteria found in the gut that contribute to both healthy digestion and an optimal immune system. 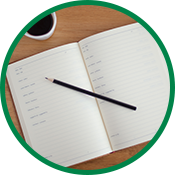 Along with providing your body with helpful digestive enzymes and probiotics, you can also keep a food journal. This will consist of all the foods that you consume during the day and when you ate them. You will also need to chronicle when you have discomfort. This allows you to be able to trace both timing and patterns in the foods you consume and how they affect you. This process can help you to uncover sensitivities that you’ve been struggling to identify. The most difficult part of this process is being thorough and consistent in your journaling. Consider downloading a free app, like MyFitnessPal, to your phone in order to help you with this process. While you may not want to head to the doctor to talk about your digestive system and all the discomfort it has been causing you, it’s never a bad idea to enlist expert advice. 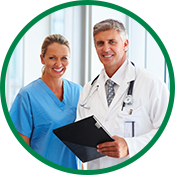 A medical practitioner can help to isolate the trouble, make sure that nothing is severely wrong, or even provide you with an allergy test in order to help isolate the causes of your sensitive stomach. There are so many different causes for sensitive stomachs and digestive distress, seeking professional guidance never hurts. In addition to trying some of the techniques and tips above to help identify your particular digestive distress triggers, there are some common food groups that are more likely to give you trouble more than others. Some people experience gas after eating legumes or too many leafy green vegetables. Below are a few of the main culprits that tend to cause individuals digestive distress. 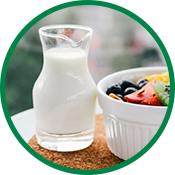 With a large portion of the world population having some form of lactose intolerance, it should be no big surprise that dairy is a frustrating food group for many. Only a small population of Northern Europeans have escaped from having any form of lactose intolerance in their genes. Everything from yogurt to cheese can cause varying levels of digestive distress. This is one of the first categories that many individuals will attempt to eliminate in order to discover the causes of their digestive distress. However, this is also one of the few food categories that digestive supplements can really help as well. 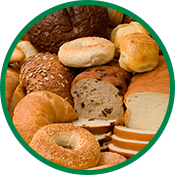 With the constant uproar about wheat, and its protein component gluten, it should be noted that this can be a cause for digestive distress in individuals. It can even cause other symptoms like changes in thyroid levels and joint discomfort. For most individuals, gluten provides no problems and most people don’t need to stop eating wheat. Test your reaction to a food group by using an elimination diet, which we discuss in more detail here. 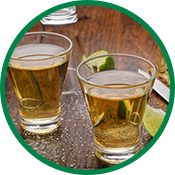 If you suffer from digestive distress, it’s probably time to ditch the alcohol and caffeine found in some of your favorite beverages. Both can cause a variety of issues for the digestive system, as well as the cardiovascular system and even your joints. Eliminate them one at a time to figure out if your stomach can manage one, but not the other. Red meat can also be a cause of discomfort. This is due to two different factors: higher fat content and more fibrous muscle content. 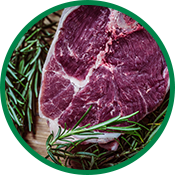 Red meat has a higher fat content that some digestive systems can’t handle. Leaner meats, like white chicken, can be more easily digested by individuals than red meats. Red meats can be more fibrous, and therefore more difficult for a digestive system to process. With so many healthy protein choices available, it’s possible to find what types of proteins that work best with your system. 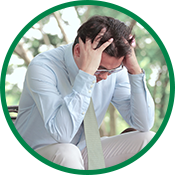 While stress is not a food group, it is an important factor to consider when working to discover what causes your food sensitivities and stomach distress. Understanding how stress can play a role in all the different systems of the body can help you identify if it’s a food group causing you problems, or if stress is the culprit. Take the time to figure it out, because it can help you make the right decisions to find a solution. The Harmony Company carries a variety of products from American BioSciences to help you feel your best. 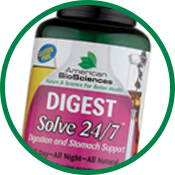 Try DIGESTSolve 24/7® today for your digestive discomfort, along with the tips above.